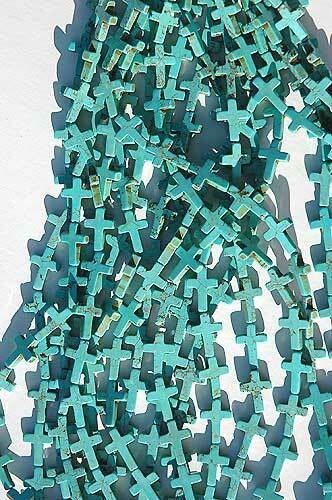 CLEARANCE Wholesale Turquoise Magnesite Cross Beads - Turquoise Blue in Color, each stone cross bead is vertically drilled. 24 beads on an industry-standard strand. These cross beads are perfect to use as charms on earrings or bracelets -- or use to add interest to your necklace creations. Sold by : Strand - must take last 3.